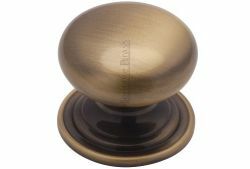 Solid brass Victorian cupboard knobs in an antique brass finish. 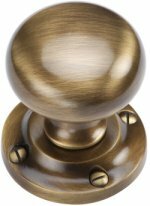 Available in 25mm, 32mm, 38mm and 48mm diameter knobs sizes. •Knob: Diameter 25mm. Rose: Diameter 25mm. Projection: 23mm. •Knob: Diameter 32mm. Rose: Diameter 32mm. Projection: 28mm. •Knob: Diameter 38mm. Rose: Diameter 38mm. Projection: 33mm. •Knob: Diameter 48mm. Rose: Diameter 48mm. Projection: 42mm.